Inspiration is an aphrodisiac in live music. It’s what makes the difference between a rote, paint-by-numbers performance and one that thrives in the moment; in which the musicians on stage feed off the visceral energy from the audience and, in turn, each other. 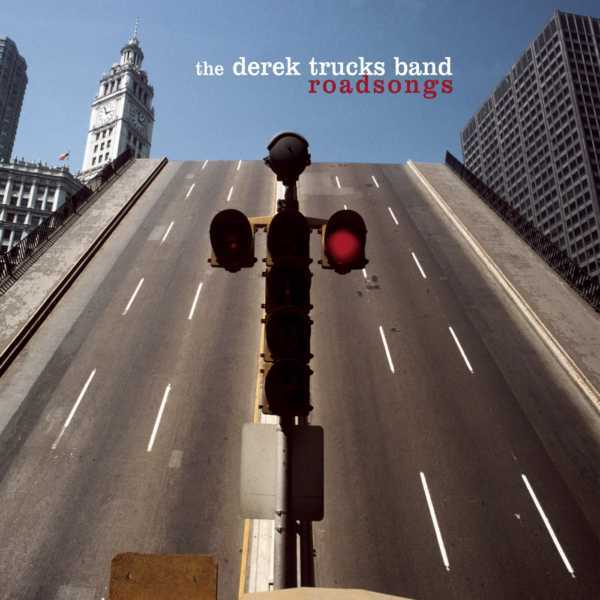 That kind of inspiration runs all through Roadsongs, the new live double album by the Derek Trucks Band. Brewing up a gumbo of electric blues, funk, and soul, the DTB dig into grooves within grooves to summon new layers of substance and many a potent moment. A wickedly churlish cover of “Down In The Flood” is an immediate standout, with 31-year-old Derek Trucks maintaining a feral presence on the slide guitar. His abilities on the ax are breathtaking and here he consistently shines, but just as commendable is how he doesn't overshadow the other individuals on stage. Indeed, the DTB comes across like a band in the most authentic, one-for-all sense, with everyone playing for the benefit of the music rather than for that of any one musician. Almost half of the setlist is culled from the band’s 2009 studio LP Already Free and the selections from it here (including “Down In The Flood") receive such stirring treatments that they arguably surpass their album versions. Vocalist Mike Pattison engages “Days Is Almost Done” and “Don't Bother Me,” in particular, with purpose and impassioned command. “Key to the Highway” and “Anyday” find Trucks recalling his stint a few years back in Eric Clapton’s touring band, wherein Slowhand revisited his Derek & The Dominos days in depth for the first time in ages. At the time he was seen by many as the torch bearer for the late Duane Allman—who'd played an indispensable role on the Dominos’ shining moment, Layla and Other Assorted Love Songs—but Trucks didn't seem to pay much mind. Instead, he walked on stage each night as one in a band of several, bearing an allegiance to the music at hand above all else. On Roadsongs, it’s much the same story.